It offers a full wrap around windshield that is designed to withstand the roughest offshore conditions yet interior storage is not compromised. This unique, new feature also makes for an incredible 360 degree view of the surrounding water while out in the ocean and is a great asset for capturing the wide open seas with a clear view of what lies ahead. 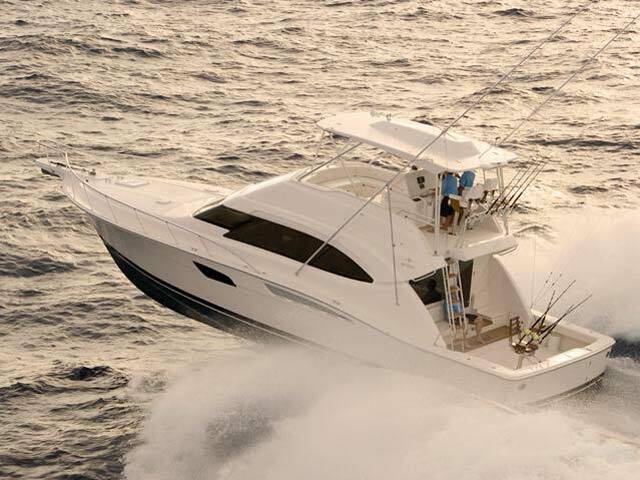 The 511 is fully loaded with amenities vital to the dedicated angler, including generous storage integrated into the standard mezzanine deck in the cockpit. 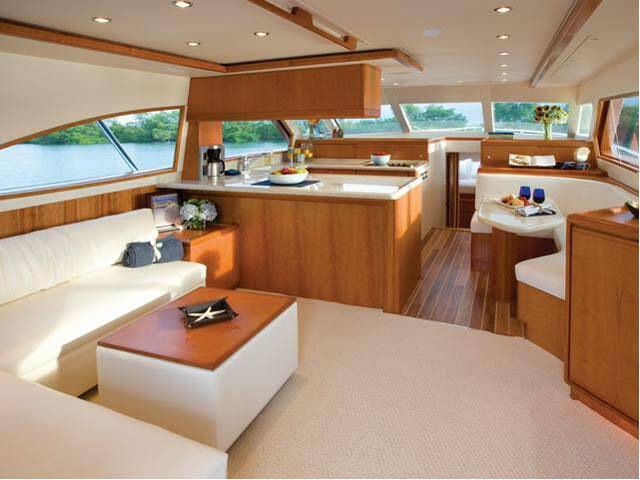 Ample seating allows every angle to relax while trolling the high seas waiting for the next bite. A large fish box with removable tub in the cockpit sole can be used to store the days catch along with a second fishbox that is located in the transom. 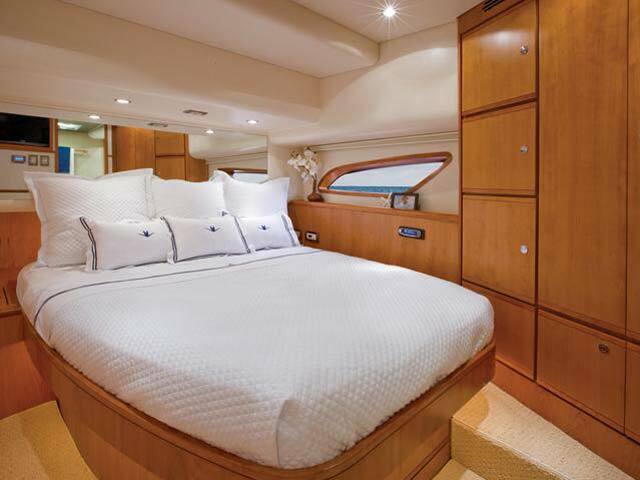 Accommodations include three well-appointed staterooms featuring hull-side windows that been incorporated throughout to provide a tremendous amount of natural light to the staterooms below deck. 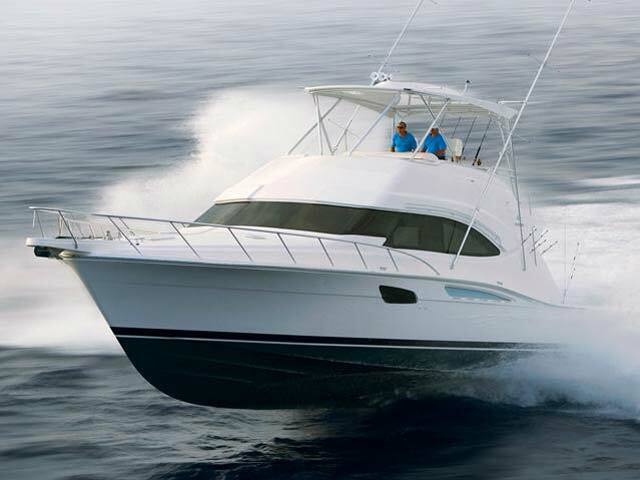 Whether you are a longtime, dedicated angler or simply enjoy a relaxing day out at sea, it will be inviting and invigorating to experience the new Bertram 511. Like all Bertrams, the 511 has extra-wide walk-arounds on either side of the deckhouse and available Anti-Roll Gyro technology – both major safety factors. 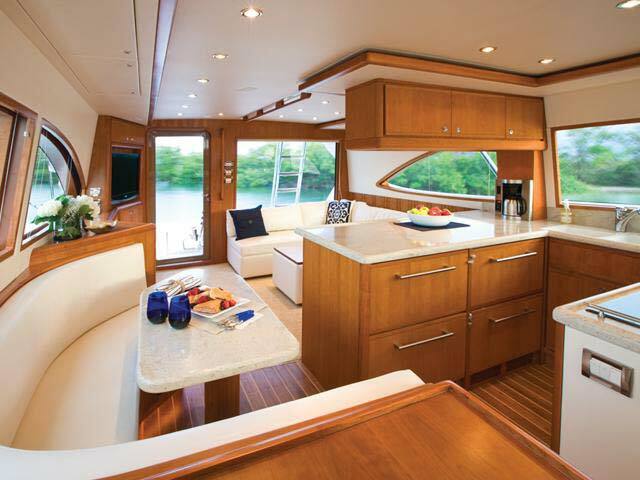 Other advantages include the Bertram trademark deep-V hull, full beam to the stern for maximum cockpit space, vibration-isolating engine mounts, a single fuel tank amidships with no fuel pumps that can be filled from port or starboard and U-shaped flybridge seating (with optional table for al fresco dining). 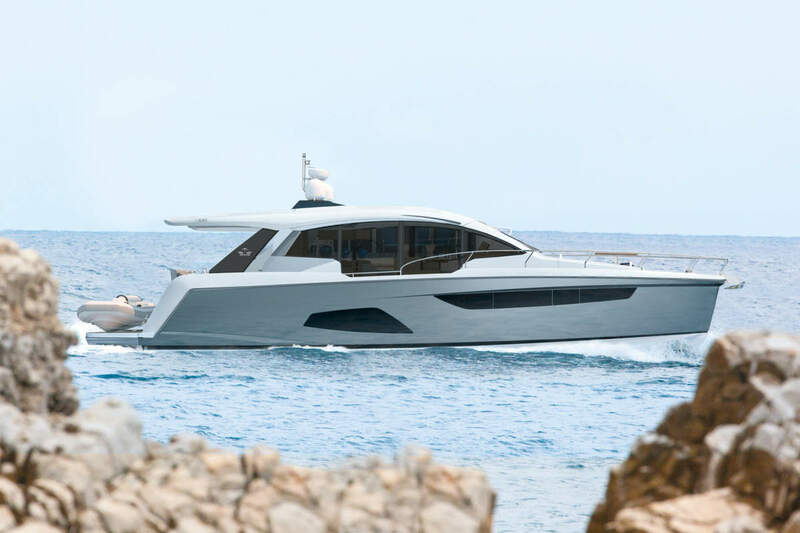 Bertram have again produce what looks like a sure winner with the Bertram faithful, simply, functional design with a build quality that will surprise all that step on board, a trade mark of the brands that belong to the Ferretti Group. 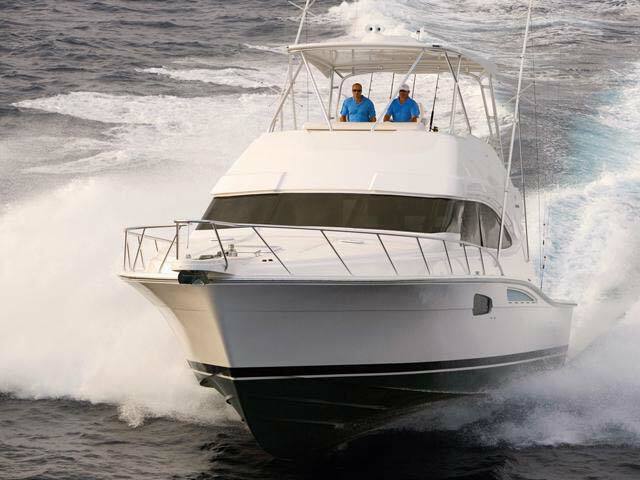 Content and picture release courtesy of Bertram Boats.